On another relatively light day on the news front, earnings dominated the discussion for stock market investors this morning. First-time claims for unemployment benefits dropped during the week, giving those who follow economic trends a bit of positive momentum. For the most part, however, the flood of quarterly reports as earnings season reaches its peak has been the center of attention both for shareholders of the companies involved, and market-watchers, in general. As of 10:30 a.m. EDT, the Dow Jones Industrial Average (Dow Jones Indices:.DJI) were up 60 points, while the broader market posted even more sizable gains on a percentage basis. A couple of negative reports from Dow Jones Industrial Average (Dow Jones Indices:.DJI) stocks may have held back the benchmark compared to the overall market’s performance. 3M Co (NYSE:MMM) led the Dow Jones Industrial Average (Dow Jones Indices:.DJI)’s decliners with a drop of more than 3%, after missing revenue and earnings estimates for the first quarter and providing negative guidance for the remainder of the year. Citing its purchase of Ceradyne last year as hurting its margins, 3M Co (NYSE:MMM) cut its expected range for full-year 2013 earnings per share by $0.10. Although the foreign-currency fluctuations that held earnings back tend to go back and forth in their impact over successive quarters, the sluggish demand that 3M Co (NYSE:MMM) saw is more troubling as a potential threat to the company’s attempt to restore its past leadership in innovation. Oil giant Exxon Mobil Corporation (NYSE:XOM) saw its stock fall about 1%, even after beating analyst estimates for its first-quarter earnings. Although Exxon Mobil Corporation (NYSE:XOM)’s revenue suffered from lower prices and falling production of oil and gas, the integrated energy giant’s downstream refining and chemical-production businesses benefited from those low prices and boosted their output. Yet, in the long run, the company’s 3.5% drop in oil and gas production represents the biggest challenge for Exxon Mobil Corporation (NYSE:XOM), as the natural decline of aging wells is extremely difficult to overcome for a company of its size. On the plus side, though, Microsoft Corporation (NASDAQ:MSFT) managed to extend its run of rising sessions, powering ahead by nearly 3%, and hitting a new 52-week high. The company didn’t have any major news to add to its Xbox announcement yesterday, but investors appear to be following in the footsteps of hedge fund ValueAct Capital, and are regaining confidence in the tech giant as an investment. The article Why These Stocks Tempered the Dow’s Gains This Morning originally appeared on Fool.com and is written by Dan Caplinger. Fool contributor Dan Caplinger has no position in any stocks mentioned. You can follow him on Twitter @DanCaplinger. 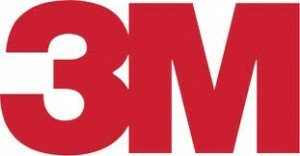 The Motley Fool recommends 3M. The Motley Fool owns shares of Microsoft. Evidence That Nokia Corporation (ADR) (NOK) and Verizon Communications Inc. (... Amazon.com, Inc. (AMZN), Apple Inc. (AAPL): Apple TV’s Next Competitor... Nucor Corporation (NUE), Alcoa Inc (AA), The Dow Chemical Company (DOW): This... Apple Inc. (AAPL) News: Conundrum in China, More Competition Elsewhere, Set... Will This Shoot 3M Co (MMM) to New Highs? Google Inc (GOOG): The EU Shows Its Impotence. Again.